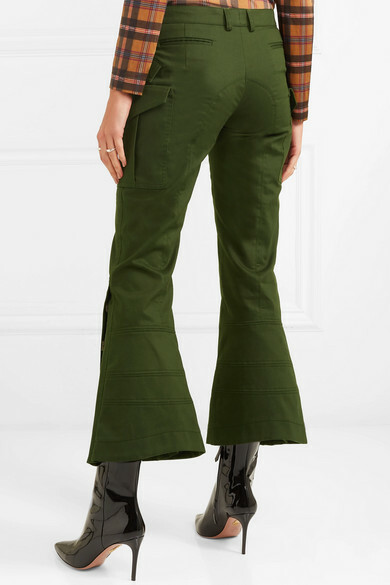 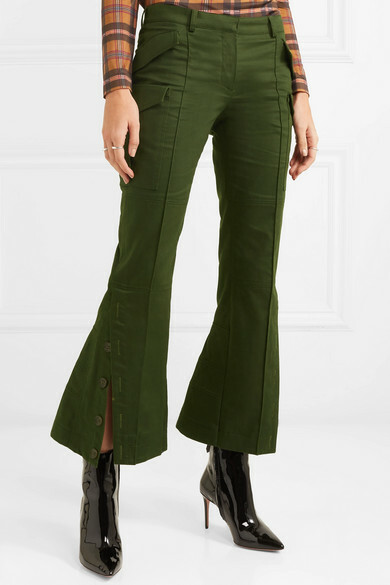 So many influencers are switching their jeans for cargo pants this season, and we love the feminine shape of Rokh's army-green cotton-drill pair. 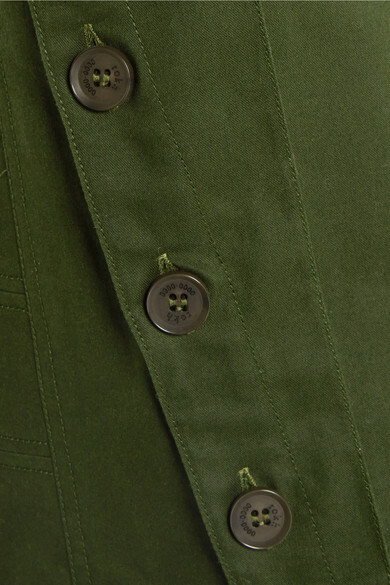 They're fitted through the thigh before kicking out from the knee - exaggerate the silhouette by undoing a few of the buttons. 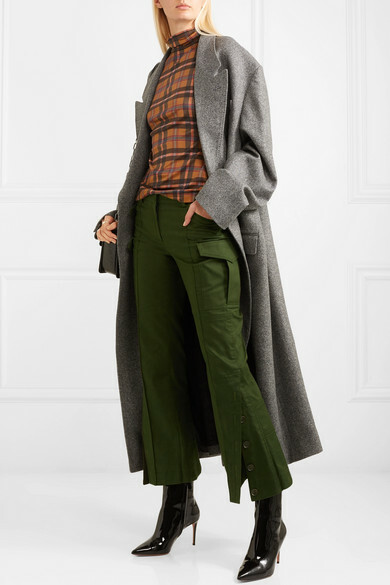 Shown here with: Rokh Top, Rokh Coat, Alexander Wang Shoulder bag, Aquazzura Ankle boots, Sophie Buhai Rings.